Lieutenant Governor-elect Kate Marshall speaks in front of the camera moments after she delivered her victory speech for Nevada Lieutenant Governor. 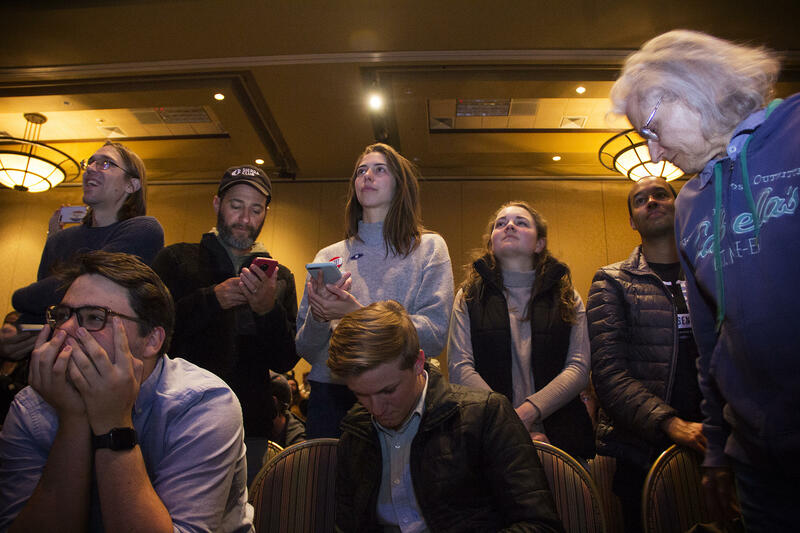 Democrats in Nevada saw big wins across the Silver State on election night, winning several statewide offices including U.S. Senate and governor. KUNR’s Paul Boger has more. There was a din of excitement in the Reno Ballroom last night as roughly 300 Democrats got together to watch election results. And while the results trickled in slowly due to long lines and delays at some polling places, the wait was worth it for Democrats, who saw victories up and down the ballot. In what appears to be a blue wave, at least for the state, Democrats appear to have won all but one statewide office, including the governor’s seat, which has been controlled by the GOP for the last two decades. Speaking to supporters at a similar watch party in Clark County, Democratic Governor-elect Steve Sisolak told the crowd he would work for all voters in the state. "People from every corner of the state stood up and turned out to say it's time to bring people together. It's time to prioritize our schools, our jobs and our healthcare. It's time to stop the petty politics and get things done." 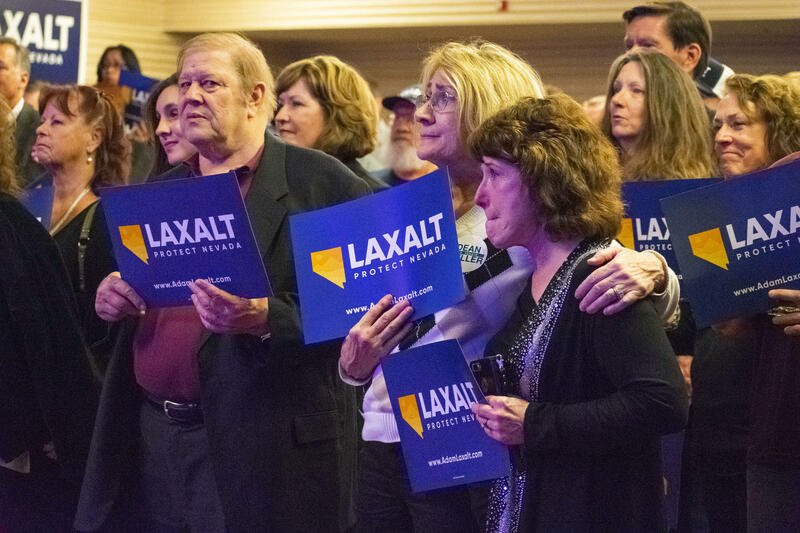 At a watch party for Republican Gubernatorial Nominee Adam Laxalt, the tone was a bit dour. About 250 Republicans began the evening waiting for polling results with cautious optimism. Crowd listens to Gubernatorial Nominee Adam Laxalt's concession speech. 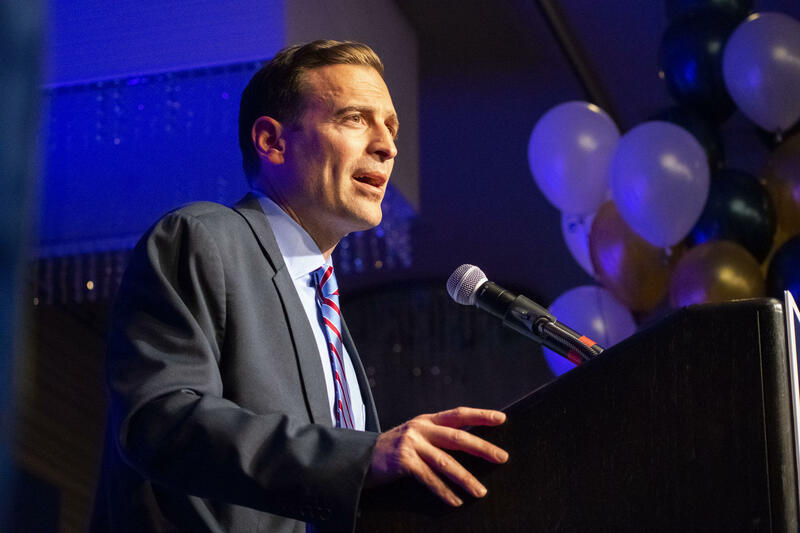 For some, Laxalt represented a chance to continue the economic upswing Nevada has enjoyed under the leadership of Republican Governor Brian Sandoval. Others voiced concerns over the Democratic agenda, saying it would force Nevada to more closely emulate its neighbor to the West, California – a narrative Republicans repeated time and again over the past few months. Brent Stephens of Sparks, who works in the mining industry, says he’s worried about government regulation. "Well, I don't think it's good for mining. I don't vote just mining, but that's a huge portion of what I do vote for. It'll hurt our industry," Stephens said. But as the night wore on, and results became clear, partygoers quietly shuffled out until only 75 supporters were in attendance. Then, Laxalt took to the stage to concede the race. The emotional candidate told the crowd he appreciates the work of his team and his supporters. "I know you're all disappointed tonight, and I'm disappointed of course, but we fought as hard as we could and to come up short is always difficult. I was truly passionate for what I was fighting for, for our great state, as were all of you in this room. I mentioned at the outset that I planned to pledge my support for the governor-elect and ask you tonight to do the same. We need to come together as a state and make sure we can move Nevada forward." Adam Laxalt delivers concession speech to crowd of supporters. 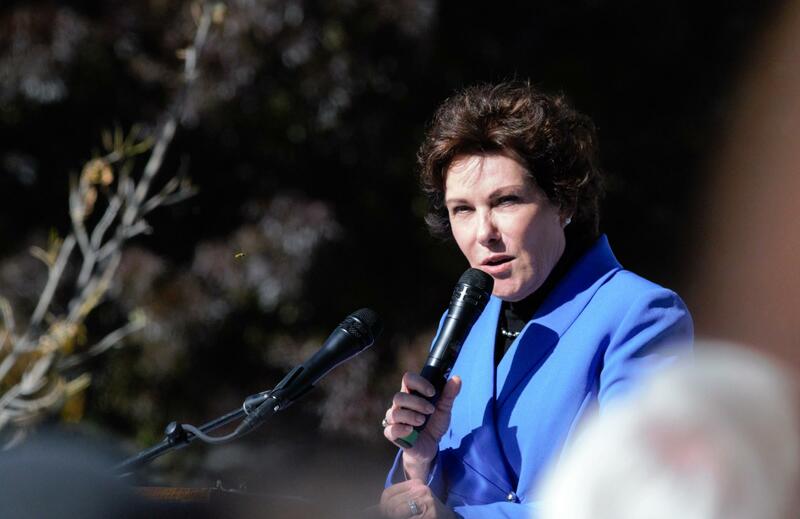 Along with Laxalt’s defeat, Democrats also scored a victory on the national stage when Democratic Congresswoman Jacky Rosen beat incumbent Republican Senator Dean Heller. Heller, widely considered one of the most vulnerable senators running for reelection this cycle, was the only Republican campaigning in a state won by Hillary Clinton in 2016. For supporter Joan Sperling-Johnson, Rosen’s victory marked a turnaround after the last election cycle. "I just think she's going to advocate for things that will help Nevadans, everything from accessible healthcare to working on immigration issues. Hopefully, working to help DACA folks. I just think she's going to be helping people and that will be primary." It’s a sentiment that Rosen says is top of mind as she enters her new office. "I will work each and every day to represent all the people of our state to provide first-class constituent services and to find common ground with anyone in the Senate who has an idea that benefits Nevada." While Democrats carried the day in many races, the party was unable to pick up additional seats in the statehouse, thwarting Nevada’s chance to be the first state in U.S. history to elect a female majority legislature.